Back in 2003, shortly after I arrived in Turkey, I went with some of my Turkish friends to the countryside northeast of Istanbul, up near the Black Sea. We went for a walk along a dirt road, and we passed by a farmer clearing litter from a pathway next to one of his fields. Six years later, I found very few people in that country who cared much about EU integration. Turkey had gone from a place where even toothless, sun-worn rural folk were preparing their corner of the world for entry into the EU, to a place where practically no one, not even the most Europeanized of urban professionals, cared anymore. What happened? Turkey’s most recent wave of economic integration with Europe actually goes back decades. In the 1960s and 1970s, hundreds of thousands of Turks moved to Germany under Germany’s Guest Worker program. The men worked in Germany’s factories and mines, helping to fuel the country’s rapid economic growth, while their wives provided domestic labor and cared for an entire generation of German kids. In the 1980s and 1990s Turkey moved further up the value chain, exporting textiles and then manufactured goods to Europe. At one point, half of all the televisions sold in Europe were made in Turkey. Today the outskirts of Istanbul are home to huge Ford, Toyota, and Hyundai plants that crank out a million cars a year for the European and Central Asian markets. Over the past decade the rise of China has challenged Turkey’s preeminence as a cost-effective manufacturing base for Europe, but Turkey continues to climb the value chain, now providing Europe with professional services. Some of the world’s largest companies — Coca-Cola, Microsoft, Unilever — base their regional operations out of Istanbul. They don’t need to staff their Istanbul offices with expats, because in Turkey they find no shortage of intelligent, well-educated, cosmopolitan professionals eager to run their regional operations. Turkey has become Europe’s farm team for international managerial talent. So over the past 50 years the Turkish and European economies have become closely integrated. Why isn’t this economic integration translating into EU integration? Some people cite disagreements over Cyprus, or integration fatigue after nearly all of Eastern Europe joined the EU in 2004 and 2007. In my opinion these are red herrings. The real reason EU members resist absorbing Turkey is very simple: humans love to draw borders around their lands and around their gods, and not only does Turkey begin a new continent, it begins a new religion. In many ways, Europeans’ relationship with Turkey is like Americans’ relationship with Mexico. 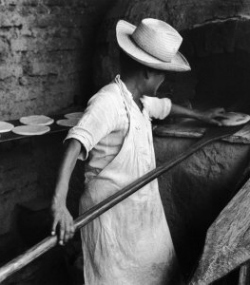 For Americans, Mexicans are an unwashed other. In the early 1990s when NAFTA was in the headlines in the US, Americans worried about dirty creepy-crawlies riding in on the undercarriages of Mexican trucks storming north across the border. Americans appreciate the cheap labor, the tasty food, and the inexpensive beach vacations Mexico offers, but they don’t want a dirty, unwashed “them” infecting American soil. Similarly, Europeans appreciate the cheap labor, the tasty food, and the inexpensive beach vacations Turkey offers, but they don’t want a dirty, unwashed “them” infecting European soil. There are people who believe the EU-Turkey question is an important one, and in some ways I suppose it is. But in a big picture sort of way, a world where Turkey is part of the EU probably wouldn’t be very different from one where it is not. After all, the American relationship with Mexico is bigger than NAFTA. The two countries trade with each other, and they fight with each other. They’ve done so for hundreds of years, and they would have continued to do so with or without NAFTA. Europe and Turkey have traded with each other, and fought with each other, for a thousand years, and they will continue to do so with or without the EU. The parties do not need integration, because they already have it.